If you look through the headlines of media outlets, you’ll notice that all the eyes are on Millennials. And that’s not for nothing. Millennials are the largest living generation on planet Earth, and their system of values is different compared to the one of generation X or baby boomers. It’s getting especially evident in the context of housing. Millennials choose short commutes, walkability, and access to amenities over large homes in suburbs. Cost-efficiency and comfort are what defines their housing choices (and what makes them prefer condos over other property types). There are many reasons why detached homes are out of consideration for Millennials, and the goal of this article is to roll out the list of them. Keep reading to find out what makes condominiums a top choice among Millennials and why getting more space for a dollar is no longer a popular game to play. But first, let’s debunk one of the biggest myths about condos. Contrary to a popular belief, condos come in different shapes and forms. They can be duplexes or triplexes, low-rise or high-rise buildings, and even freestanding houses. 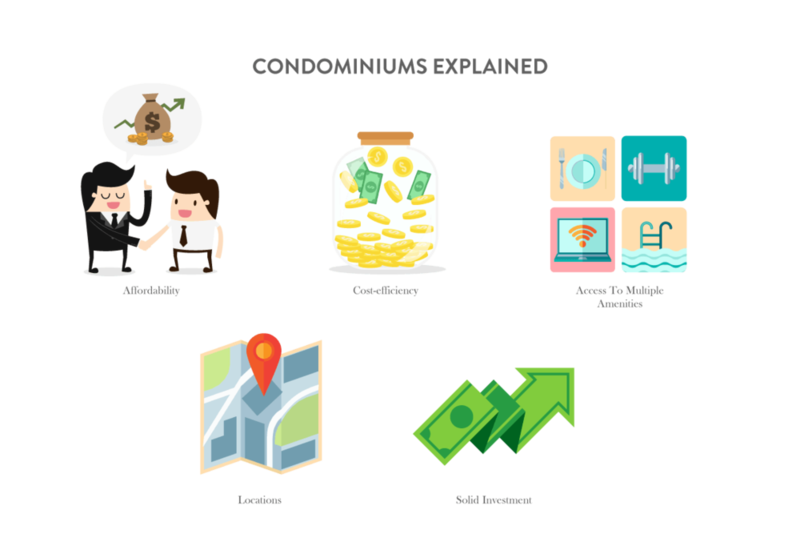 What makes all these types of property qualify for the term is that they have shared territories maintained by condo boards. It’s no longer a breaking news that Millennials have been called the generation of renters for one particular reason - inflated real estate prices. It might seem like renting is more affordable than buying, but it’s only true in a short-term perspective. In nearly all the cases, people are paying more in rent than they would pay for a mortgage and condo fees combined. And let’s face the truth: it makes more sense to pay for something you’ll eventually call your own. Condos have one more money-related advantage. As you know, all condo residents have to pay ‘condo maintenance fees.’ Some people falsely believe that these fees are nothing but an extra spending, but in fact, they can save them a decent sum of money in the long run. While the biggest part of condo fees goes for basic maintenance like gardening, snow shoveling, and window cleaning, a small part goes to a reserve fund. Money from this fund is used to cover occasional expenses like repairing a leaking roof or replacing a broken window. And it means no payments from your own pocket when something needs to be fixed. Millennials are the busiest generation out there. With so many opportunities and challenges around, most of them live in a constant fear of missing out. And it makes them optimize their lives in a way so they have access to anything they might need at any moment they might want it. And it includes sports facilities (gym or tennis court), recreational facilities (pool or SPA), and other amenities like a 24/7 concierge or valet parking lot. If you need a hint at an obvious, this is exactly what living in a condo is about. There’s one more thing that marks out Millennials from all the rest. When choosing a place to live, they are always geared towards the prime spots of major cities. Needless to say, median housing prices in these locations are way above the averages. But if you search condos in Boston, NYC, Houston, Toronto, or Vancouver, you’ll see that prices are not as high as you thought they would be. When it comes to trending locations, choosing a condo appears to be the best (and oftentimes the only) housing option. Aside from reasons mentioned above, there is one more thing making Millennials choose to live in a condo. As prices for residential property keep on rising, buying a condo seems like a smart investment. The most forward-looking Millennials understand that buying a property in a prime location (even if it’s a relatively small unit) will pay off one day. As soon as it starts to feel like they’ve grown out of their little nest in downtown, they can move elsewhere and turn their former home into a rental. Although buying a single-family home with a garden might still be a dream for some people, the majority of Millennials opt for what’s urban, dynamic, and cost-efficient. Their choices might be hard to understand for some, but it seems like they’ve got something right about comfortable living. In today’s fast-paced world, it makes a lot of sense to live in the center of everything and have access to all the best this world has to offer.